Whether you are employed, self-employed or an employer speak to us for pensions advice and company pensions advice especially if you are based in the Sutton Coldfield, Lichfield and Tamworth area. We strive to help our clients achieve a happy and comfortable retirement, but to make this happen it is vital that you seek expert pensions advice as early as possible. Unless you are in a pension scheme that pays you an income based on your salary when you retire you will probably be saving into a scheme that provides you with a sum of money. We call this your pension pot. 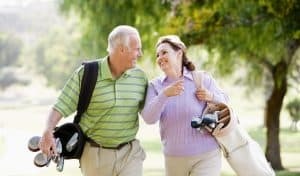 How to turn this into income for your retirement, and ensure you have enough to enjoy your retirement throughout your later years, is one of the biggest financial decisions you have to make. Many people change their jobs during their career, so you may have one or more pensions that you have left with your former employers. It is important to regularly review these old pensions and not to assume that your former employer is investing them in the most suitable way for you. If you are getting closer to retirement you may want to invest your pension in lower risk funds, and you should always review the level of charges your pension scheme is subject to. Sometimes a company pension scheme from a former employer will offer you the opportunity to transfer your pension out of their fund at what seems like a great level of return, only after seeking advice can you make the right decision. By keeping the pension going you may receive much more money long term especially if it is a company pension final salary scheme. However, there are some circumstances where we might consider a Defined Benefits transfer. One of our qualified Financial Advisers who provide advice on pensions in Lichfield and surrounding area, will take a look ‘under the bonnet’ of all your pensions and help you understand what your retirement income could be. They will discuss with you whether it would be prudent to move to another pension fund or stay put. There is never a one-size fits all, which is why personal financial advice is essential. If you don’t carry out regular reviews on the performance of your pension or pensions you could be losing out and even find that your fund will not provide you with the income you are looking forward to in retirement. The sooner you find this out the sooner you can take action. If you are looking for a pension in Tamworth and the surrounding areas we will arrange to meet you at your home or at our local office. If you are living further afield that’s not a problem as we have clients throughout the UK with whom we have worked with for many years. If you are considering accessing your pension fund before you are 65 talk to us. Many people have fallen foul of pension scams and some people who have taken money out of their fund early could run out of money in later life or be faced with large tax bills. Make sure that you take professional pensions advice in Sutton Coldfield from one of our Advisers based locally. At Four Oaks we don’t just provide pension planning for private clients. We work extensively with businesses and have implemented auto enrolment in Tamworth and company pensions for Sutton Coldfield and Lichfield businesses. Why not contact one of our Advisers and we will assist you whether you are an employee or an employer. If you are self-employed we can give pensions advice on pension plans that offer flexibility and take into account irregular earning patterns which can make regular saving difficult. You may also be interested to know that the Government is said to be considering ways of extending auto-enrolment to the self-employed. Since pension legislation changed in 2015 more people are opting to take money from their pension before they are 65. Sometimes this is to invest in their business. To make sure you make informed choices and avoid putting your financial future at risk please take professional advice. Talk to us for pensions advice in Tamworth and further afield. Pensions are not something to be done, dusted and left alone, even ones that you have left behind with previous employers may not be managed in the most appropriate way to meet your needs. Pension planning should be regarded as a core aspect of your financial plan and your pension should be regularly reviewed to check how it is performing and what income it is projected to provide when you reach retirement. It is essential to get pensions advice in Sutton Coldfield from a local firm. We are well placed to help you as our office is within easy reach of Lichfield, Tamworth and Sutton Coldfield. If we review your pension or company pension and find it meets your needs and is performing well we will recommend that you don’t need to make any changes. One thing is for sure we will always give you the most appropriate advice and explain in uncomplicated terms the benefits and options, which might be no change is required. By seeking Pensions advice from a trusted local firm you will develop a genuine relationship with us and we can meet with you annually or more frequently if this is what you need. In very rare circumstances we might recommend a defined benefits transfer, this is a transfer out of a final salary pension. At Four Oaks we aim to provide pension planning and retirement planning that will enable you to maintain the lifestyle you have whilst you are still working and carry this on into your retirement. We will also advise you on estate planning and can also advise you on long term care options. All of our Advisers are qualified to give advice and there is access to a Chartered Financial Planner through this practice. One of the key factors to look at when reviewing your pension or company pension are the management charges your pension provider is taking. Charges on some older plans are much higher than their modern equivalents. A pension review with an expert from Four Oaks Financial Services will show the impact these charges are having on your pension value and our Advisers will be able to recommend whether you should transfer to another pension fund and recommend appropriate options. There are lots of variables to take into consideration when reviewing a personal pension or a company pension and deciding upon the right course of action can only be determined when you have received trusted advice. So if you are looking for Pensions please talk to one of our Advisers and be assured of first class local advice for pensions in Lichfield and further afield, and for company pension advice from a well-respected local firm.